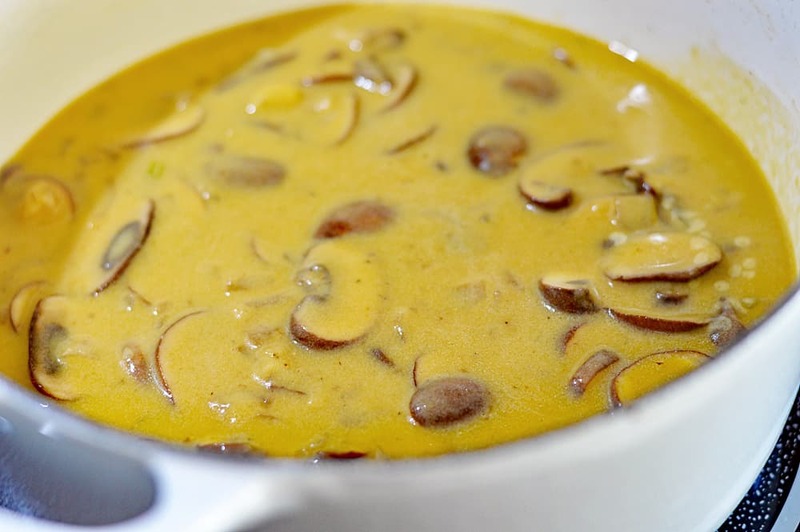 Some time ago, I posted a recipe for cream of mushroom soup which went pretty viral. 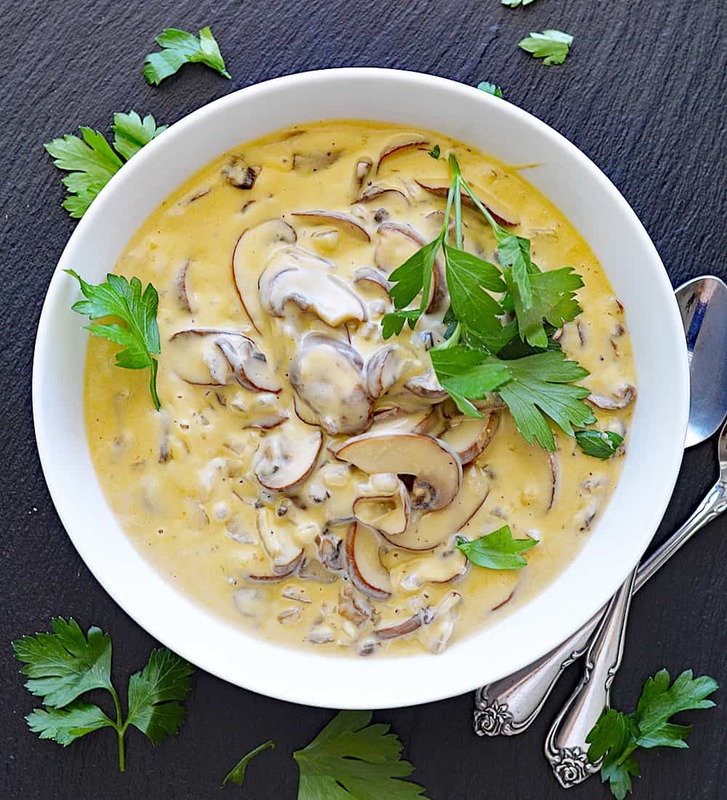 However, since that time, I have developed this Quick and Easy VEGAN Cream of Mushroom Soup which is just as delicious, but much less time consuming. It begins with vegan margarine, onions and sliced mushrooms. Feel free to use whatever you can find and a mixture would actually be wonderful. Each variety adds it’s own flavor to the dish. Since there are so few ingredients in this recipe, it is incredibly important to use a rich and flavorful broth. The darker the vegetable broth, the better! At this point, you could choose to deglaze the pan with a white wine. Cook until the alcohol has dissipated before proceeding. In a measuring cup, I take 1 cup of the broth and combine it with my flour using a whisk. Doing it this way assures you will have no lumps in the final mixture. Add to the mushroom mixture along with the remaining broth. I season with salt and pepper (thyme would be lovely here). Finally, it’s time for the cream. Feel free to use coconut milk, vegan creamer, homemade cashew cream…it’s completely up to you. You could even use an almond milk, just allow it to reduce a bit further. I love the way this turned out and it was really delicious. 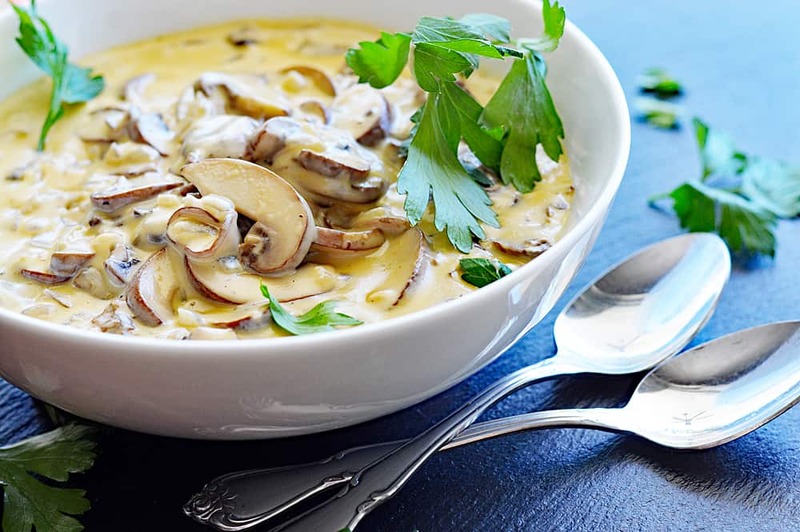 Thick and creamy, loaded with mushrooms. Feel free to make this your own. Taste for seasoning, adding just a pinch more salt if it needs it. 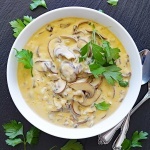 Did you make this recipe for Quick and Easy VEGAN Cream of Mushroom Soup? Leave me a comment below and let me know what you thought! In a large stock pot over medium high heat, saute onion in vegan margarine. 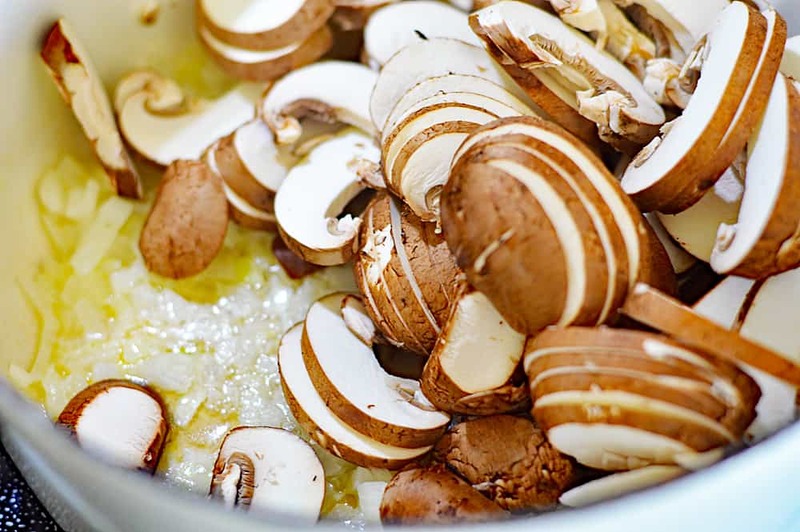 Once the onions are translucent, add the sliced mushrooms. 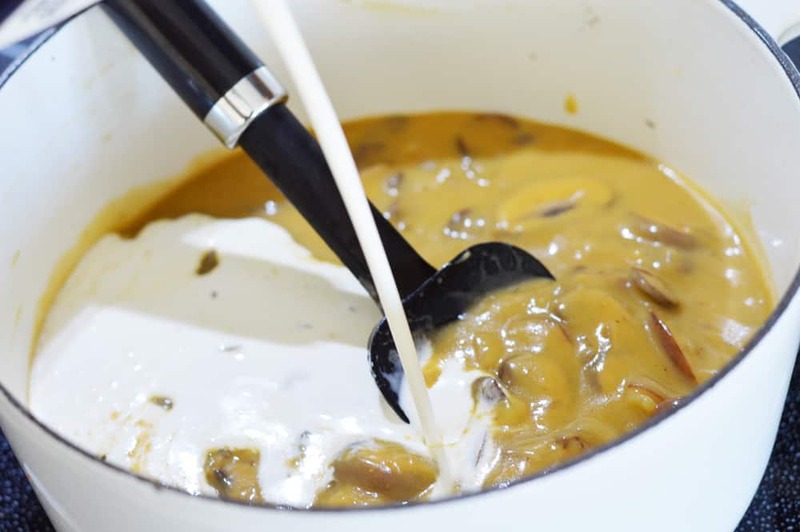 Reduce heat and stir in cream of choice. Simmer, uncovered for about 15 minutes, stirring occasionally. IF THE SOUP GETS TOO THICK, JUST ADD A BIT MORE BROTH.